Pecan pie doesn’t have to be complicated. Mine is simple and you don’t need any fancy ingredients. And it’s healthier too, with an olive oil crust. I used to make pie crusts the old way with either shortening or butter and ice water but an oil crust is so much easier. It’s quick and you can just pat it into the pan or I roll it between wax paper and then transfer it into the pan. By the way, the pan is never greased when you’re baking pie. In this case I use a standard 9-inch pyrex glass pie pan and not a deep dish pan. My pecan pie filling is super simple. Everything goes into one bowl, stir for one minute and boom. Done. It uses less butter than most along with brown sugar, white sugar, and corn syrup but keep in mind that corn syrup IS NOT high fructose corn syrup. They don’t even sell HFCS to the public. For my Easy Pecan Pie (with butter) recipe click here. For my Pecan Pie Without Butter recipe click here. 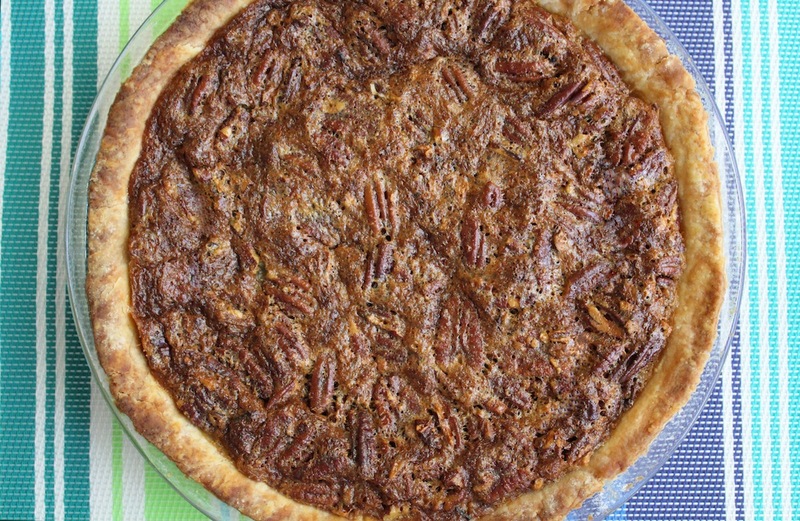 6 Comments on "Easy pecan pie from scratch"
Wow! Benecol! My husband’s favorite spread. The pie looks delicious. I am going to make one with the benecol for sure next week. Thanks for sharing! Your are the best! You could try my Custard Pudding (https://www.jennycancook.com/recipes/custard-pudding/) and add 1/2 teaspoon of vanilla at the end. I was actually looking for a pecan pie recipe, and I came here because I was wondering if you would suggest toasting the pecans first, or if it wasn’t necessary because they would be int he oven anyway. Since I see your recipe calls for toasted pecans that’s what I’ll do. Boy, oh boy, oh boy, hahha, yup, I am that same polish girl ,that asked for kluski with raw potatoes lol , I have been a busy girl, in the kitchen, notice I said girl,at 68 , and not old lady ?? 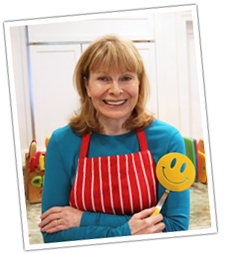 lol ,and spanking my dough saying who ‘s your daddy , I enjoyed it so much ,hehehe and I have tried so many of your recipes , YOU ARE GREAT , and I hope this motivates you to keep going , cause you keep me going , I just have to try this new one pecan pie yummy, yummy, yummy . if I gain more weight? its all your fault , hhehehe but if I talk, and eat at the same time, maybe the calories won’t know what I am doing? and it wont count . lol Christine .